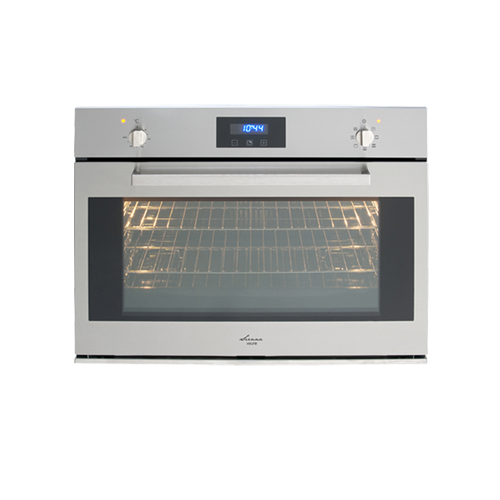 The 75cm Multifunction Electric Oven is a stylish electric multifunction oven that can be used as an under-bench oven or wall oven. Featuring a stylish stainless-steel finish, it will perfectly complement modern kitchen accessories and appliances. Experience the best in functionality with the 75cm Multifunction Electric Oven. It features 7 multi-functions and also offers fan forced / fan assisted multifunction cooking and contained cavity cooling. 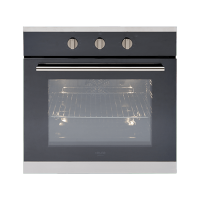 This electric oven is designed to perfection, and includes easy knob function selectors and comes with a triple glazed full inner glass door. It also includes a useful timer touch function and comes equipped with a telescopic rail set. 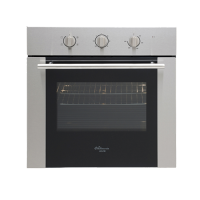 The 75cm Multifunction Electric Oven is made in Italy and exhibits the highest quality standards. 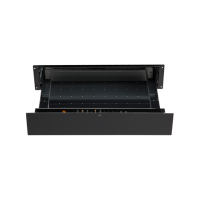 It is manufactured using 18/10 grade stainless steel and is covered by a 2-year warranty for standard use or a 3-month warranty for commercial use. For a stylish and functional electric multifunction oven in Perth, choose the 75cm Multifunction Electric Oven at Ross’s Discount Home Centre. Shop from our online store to purchase this electric multifunction oven at the most competitive price in the market and take advantage of our 14-day money back guarantee!